Capricornia Yearling Sale - Carnival day one. Yearling inspections start from noon at the Rockhampton Showgrounds. Hygain Country Cup Race Day - Callaghan Park, Rockhampton. Free entry, gates open at 10.30am. Rum City Foods 2YO Classic Calcutta - Front Lawn area at Callaghan Park, Rockhampton, from 6pm. Taking Shape fashion event. Stockland Rockhampton. Knitting and Crochet Club. Mount Morgan Library. Cooberrie Park at Stockland Rockhampton. Free school holiday fun. 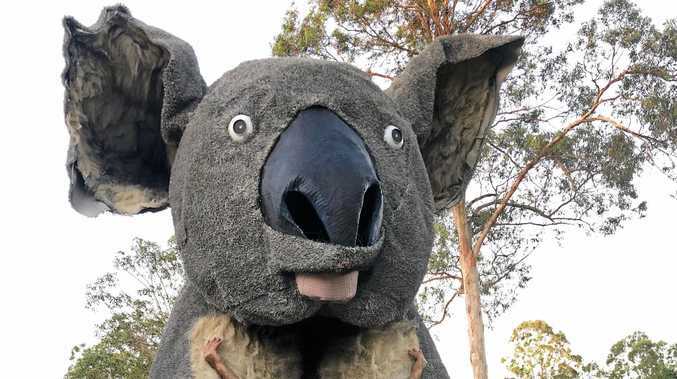 Giant Koala. Departing for Mackay. MDA Rockhampton, corner of Richardson Rd and Alexandra St.
Central Queensland Capras v PNG Hunters. McIndoe Park, Emerald. Rockhampton Family Carnival. Stapleton Park, Rockhampton. Heckfest 2019. Giddy Goat Rockhampton. Visit tickets.oztix.com.au for tickets. Jackson Dunn. Live at 45East, 45 East St, Rockhampton. River Sessions. The Boathouse Rockhampton. '90s Theme Trivia. Headricks Lane, 189 East St Rockhampton. Infamous: The Show. Anderson (Henry Fontaine Grove) Park, Rockhampton. Visit premier.ticketek.com.au for tickets. Park Run. Rockhampton Botanic Gardens. Capricornia Yearling Sale - Carnival day two. Free barbecue breakfast and yearling inspections at Rockhampton Showgrounds from 8am. DLV Finance Capricornia Yearling Sale 2YO Classic Race Day at Callaghan Park, Rockhampton. Entry $15. Gates open at 10.30am. 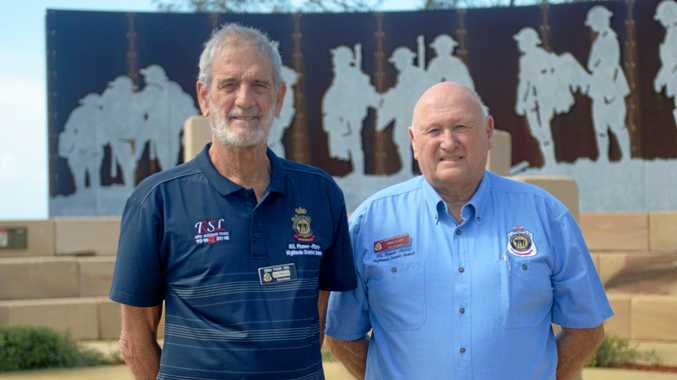 Free Hygain welcome barbecue at the Robert Schwarten Pavilion, Rockhampton Showgrounds, from 6pm. Select Yearling Parade at the Robert Schwarten Pavilion, Rockhampton Showgrounds, from 7pm. Top Gun Young Gun Bull Riding Series. Great Western Hotel, 39 Stanley St, Rockhampton. Cost $20. Phone the venue on 074922 3888. Arcade Carpark Markets. Bolsover St, Rockhampton. Arcade Carpark Markets has the largest range of local fruit and vegetables, the growers are selling the freshest and tastiest produce, which include organic and spray-free produce, two mobile butchers with great product and fantastic value, second-hand items. Festival of the Wind Markets. Biggest Annual Market in CQ, 8am-3pm at Bell Park, Emu Park. Inquiries 0407 178 011. Live music, gifts, fruit and vegetables, hot food, coffee, art and craft, rides, plants, bric-a-brac, books and much more. Something for everyone. Free entry, plenty of parking. Along with Festival of the Wind at Fishermans Beach. International Kite Flyers - great display of kites. Phone 0439 715 445 for more information. Beach activities, competitions, games, great prizes, kites for sale, entertainment, food, great family day out. Huge fireworks display at 6.30pm. Rocky Trials Club. Motorcycle Trials event. Bobs Creek Rd, 20km south of Rockhampton on the Bruce Highway. For more information, phone Don on 49221788. Capricornia Yearling Sale - Carnival day three. Hygain 2019 Capricornia Yearling Sale starts at 11am at the Rockhampton Showgrounds. Introduction to Spec Fic Writing and Publishing. Mount Morgan School of Arts, Morgan St. Cost - free. Vintage Garden Tea. StAubin's Village, Canoona Rd, Rockhampton.